IMCDb.org: 1957 Chevrolet One-Fifty Four-Door Sedan  in "Route 66, 1960-1964"
No, that is 1957 Chevrolet One-Fifty, model 1503. I thought the One-Fifty Business Coupe didn't have a back seat? 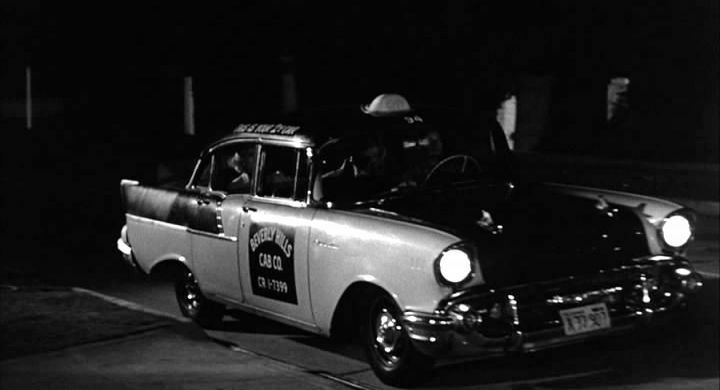 This one obviously does as it's a taxicab and people are seen getting out of the back. I think you are thinking about the Coupe Utility, only available in 2 door version. Riluna's right about this one, it's a One Fifty. I triple checked.